How much will Limited Edition Shell Collectibles cost in future? I’ve been doing quite a lot with Shell Malaysia lately and it’s a relationship that I enjoy because I use Shell. Heck my whole family uses Shell for our cars and just a couple of weeks ago I was at Wisma Shell giving a talk to their IT staff about my own story. So anyway they recently gave me a set of these Limited Edition Canisters. 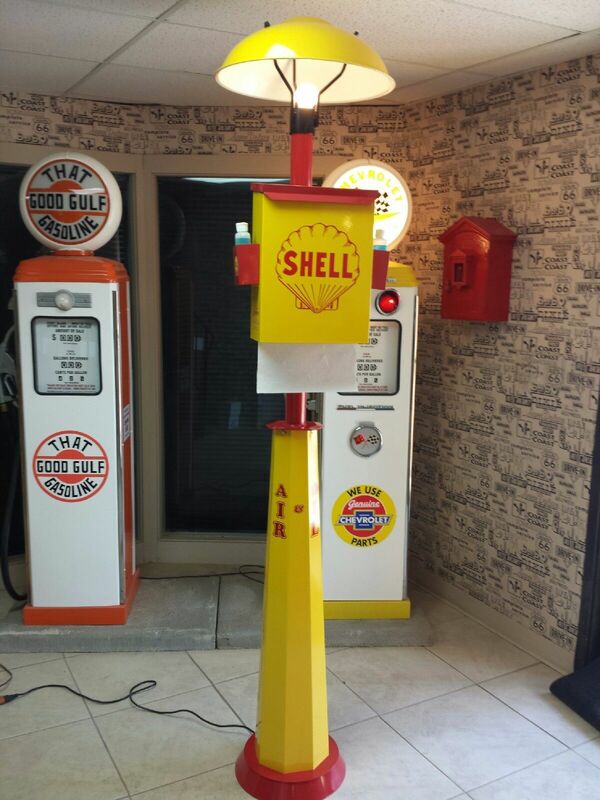 Each of these boxes carry the design of Shell Stations and pumps from the 1920s and 1980s. They’re limited edition and you can get them at Shell Stations around Malaysia. You just have to spend RM40 on any Shell fuel and you’re entitled to buy the big canisters at RM12.90 each (they come with fridge magnets) and if you spend RM6 or above at Shell Select you’re entitled to purchase the small ones at RM7.90 each. 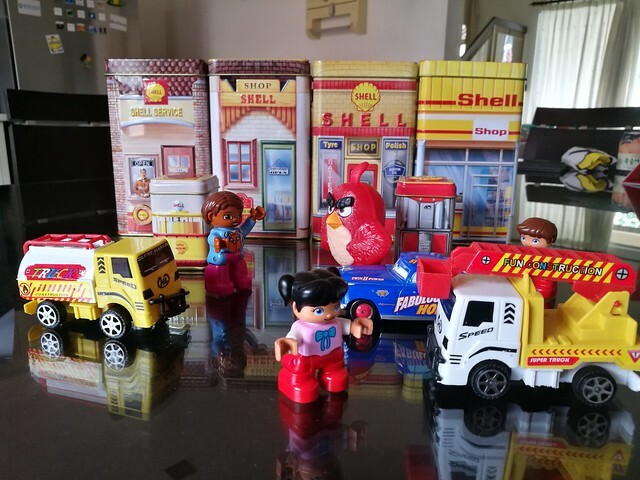 The Limited Edition Shell Tanker that you see in front there is available on the 16-22th October for RM12.90 each if you spend RM40 and above at Shell. I thought it’s cool that Shell’s allowing us to own a piece of history. Of how the petrol stations used to look like all the years from when my parents were born to before but I had one bigger question. Since these are Limited Edition and Collectibles, how much will they be worth say a couple of decades from now. I decided to look around online and here’s some interesting vintage Shell stuff I found. $135… that’s like RM560 for this collectible doll. HOLY COW! I have no idea how much the original price of this pin badge was but I can’t imagine it being more than say $5 which is about RM20. How did it over the years become worth almost $40 which makes it about RM160. The seller here doesn’t seem to be sure how old this is yet but he estimates that it may be from the 1950s. I like this one. Haha if I had one maybe I’ll put one outside my study so it lights up to tell people that I’m inside busy working. This is my favorite. It’s actually a reproduction but it’s so cool. This however looks like the pumps overseas, if there was a Malaysian version of it I’d totally put one in my office or something. 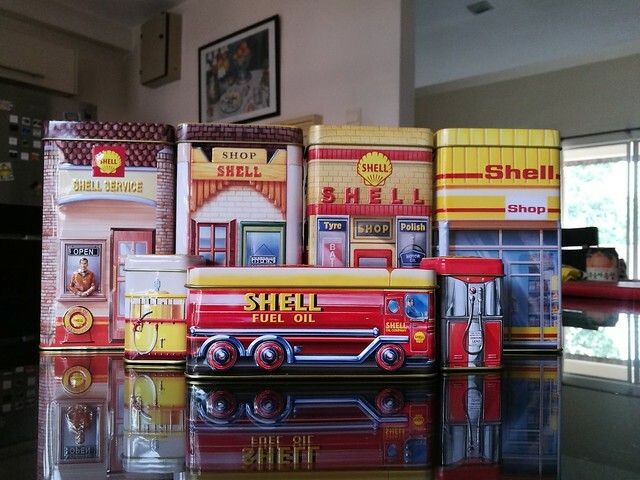 I’m no expert in collectibles but all in all it seems that some Shell collectibles seem to really appreciate in value over time. It’s just a matter of when or what. So my big question then is how do you pick the right collectibles, and will the Heritage canisters above appreciate in value? Does anyone have any experience in this? While we’re at that I wanna give this set away to any of my subscribers. So if you’d like it shoot me an email at lengmoublogs@yahoo.com and tell me why you want them and if you can share with me how do you decide what to collect.